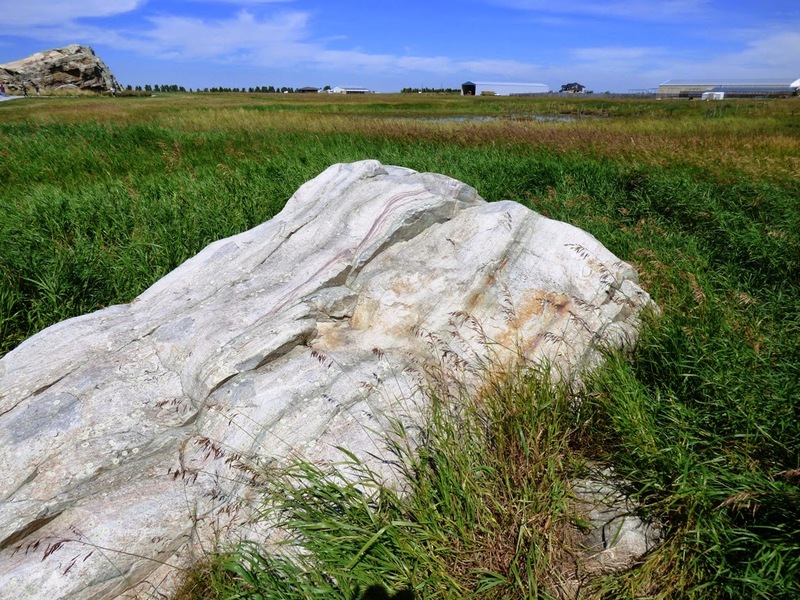 There is a big rock out on the high prairie near Calgary, Alberta. That all by itself is a bit of strangeness. It's even more strange because it is around a hundred miles (160 km) from the cliff in which it originated, up in the Rocky Mountains in Jasper National Park. The Blackfoot Indians had a creative name for the rock, Okatok, which in their language means, um, "rock". These names always sound better in the original language! For whatever reason, the spelling changed a bit to Okotok. The geologists tell a different story, and were it not for the overwhelming evidence it would seem just as fantastical. During the Pleistocene Ice Ages, the continental ice sheets covered all of the region thousands of feet deep. Up in the Rockies at Jasper a huge rock slide dumped massive boulders onto the surface of the glaciers emanating from the high peaks. The glaciers flowed eastward onto the High Plains, eventually meeting up with the vast ice sheet that originated near Hudson Bay. The two ice sheets didn't mix, so the two "rivers" of ice flowed together towards the south. The gigantic rocks from the cliff in Jasper were dumped in a line many miles long where the glaciers moved together. 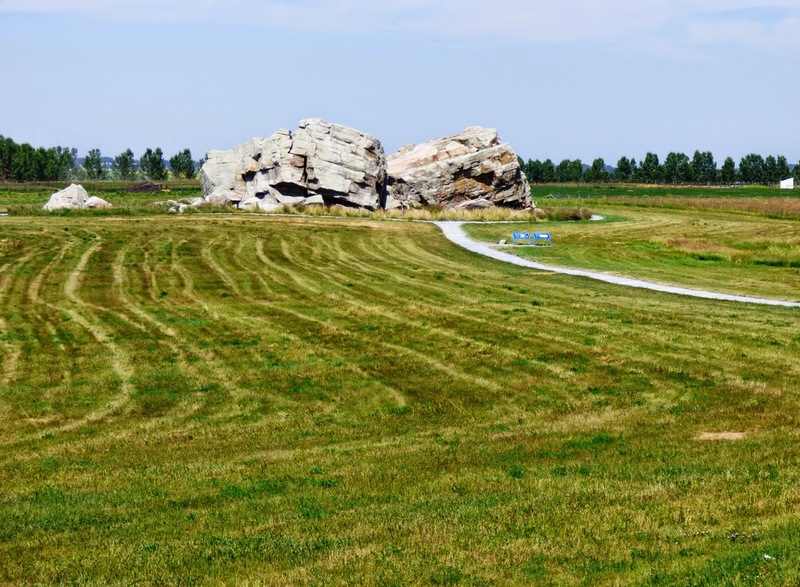 These isolated boulders are called glacial erratics. 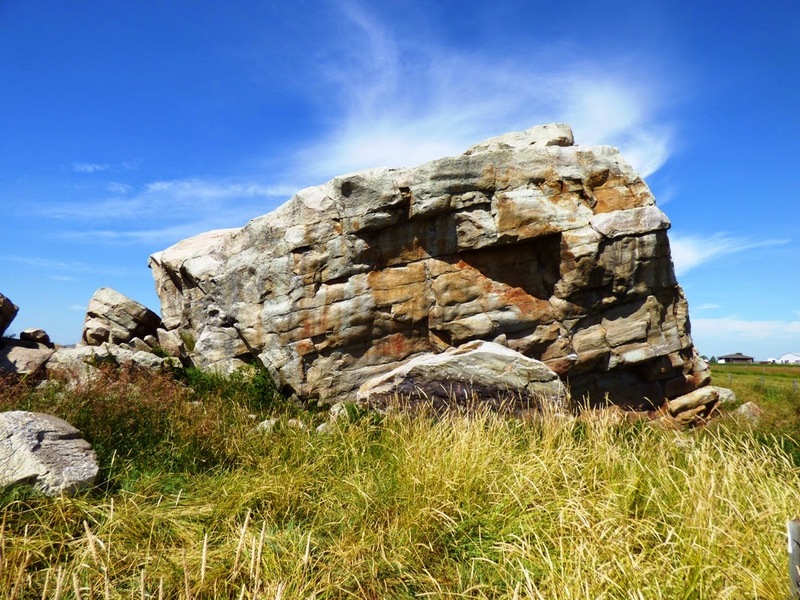 The rock is sometimes claimed as the largest erratic boulder in the world, but I have no way to evaluate the claim. It certainly is huge, and worthy of a visit (it is a few miles southwest of Calgary). The Blackfoot or other First Nation peoples were certainly impressed. Faint pictographs can still be seen on the flanks of the rock. 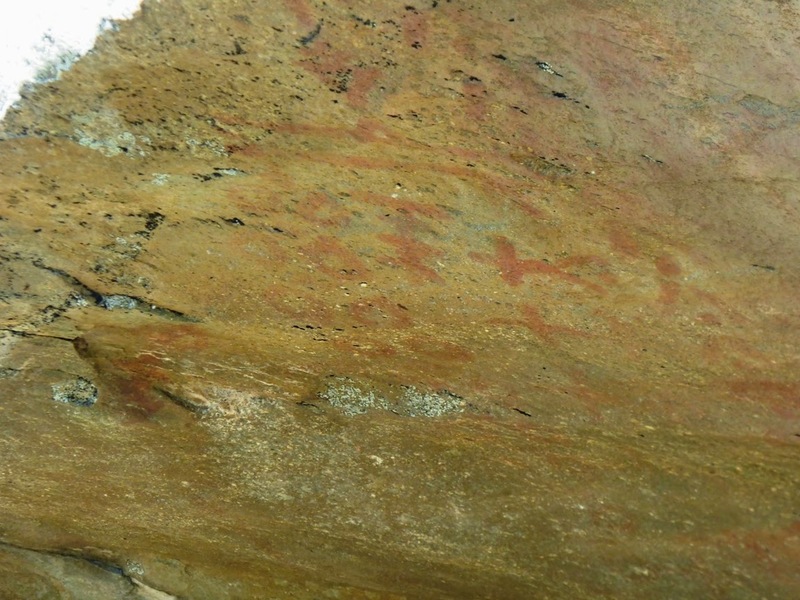 Pictographs are symbols painted on the rock. Petroglyphs are chipped into the rock. This is a continuation of our Northern Convergence tour of British Columbia and Alberta. In this case, I guess "convergence" refers to the two masses of glacial ice. We concluded our visit and headed back towards the Rocky Mountains and Crowsnest Pass to check out a not-so-long-ago tragedy. More on that next time. 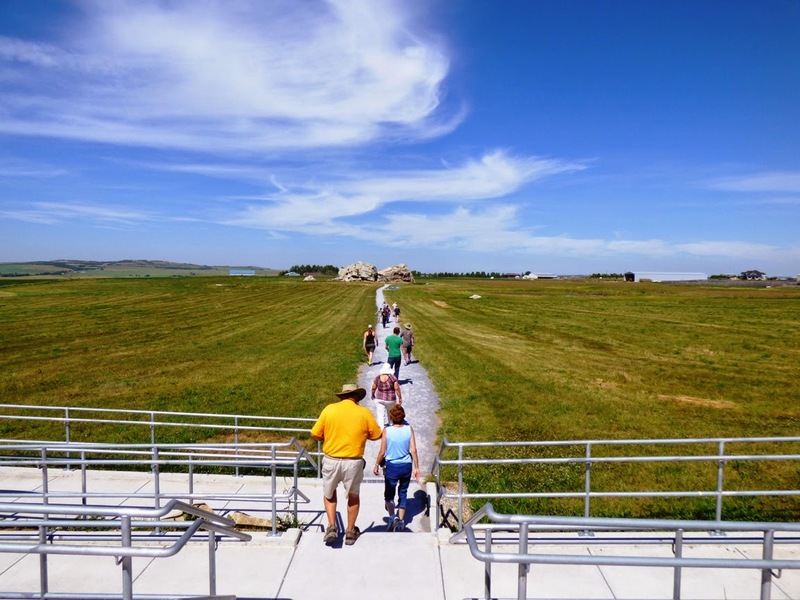 *The Blackfoot legend is loosely rephrased from interpretive signs at the park.